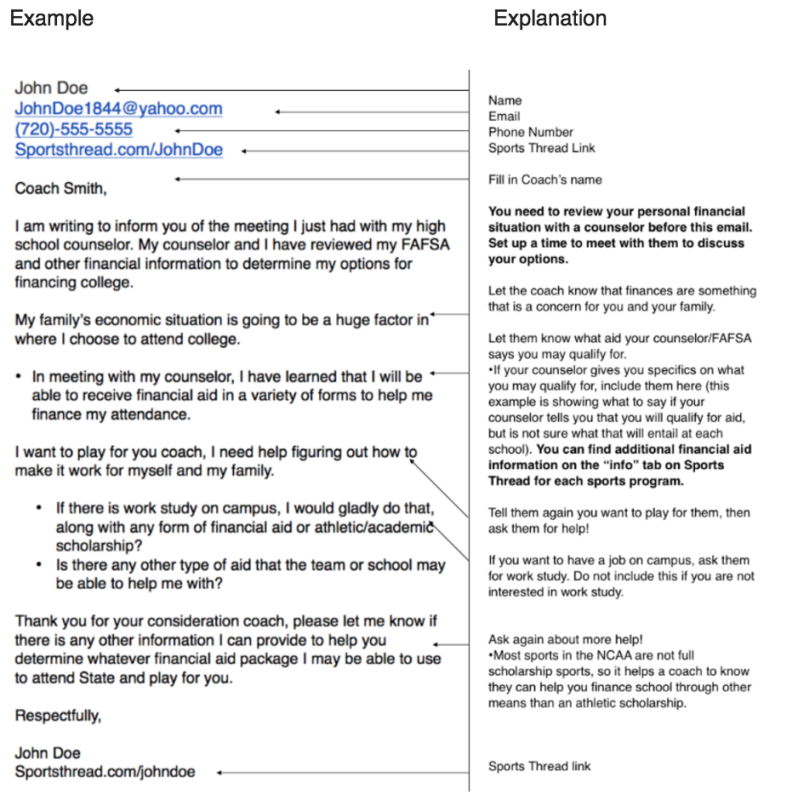 You will find a sample email and explanation of what each section of the letter is accomplishing. Customize the template below and email it to the coach. Do not copy everything word for word. Coaches appreciate originality. Make yourself stand out! I am writing to inform you of the meeting I just had with my high school counselor. My counselor and I have reviewed my FAFSA and other financial information to determine my options for financing college. My family’s economic situation is going to be a huge factor in where I choose to attend college. 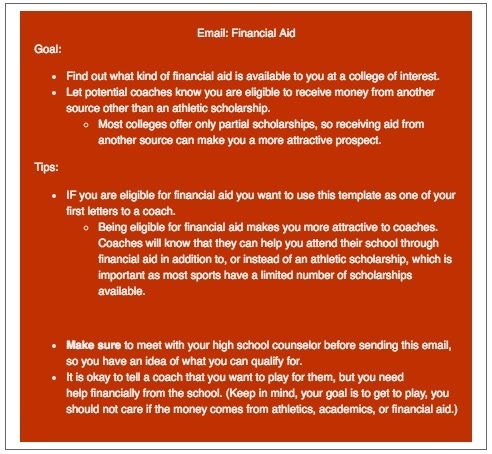 In meeting with my counselor, I have learned (add what your counselor told you about your financial aid opportunities here). I want to play for you coach, I need help figuring out how to make it work for myself and my family. (Do not include this if you do not want a job at college.) If there is any type of work study program available on campus, I would welcome the opportunity. Is there any other type of aid that the team or school may be able to help me with? Thank you for your consideration coach, please let me know if there is any other information I can provide to help you determine whatever financial aid package I may be able to use to attend ( school name here) and play for you.